After you have been in an accident, you are going to want to find a quality collision repair specialist. Bring your car to Bundy Motors, the leading auto body and collision repair shop in Tolland County. Bundy Motors has earned a reputation as a leading car repair center serving Coventry CT. We have served thousands of satisfied customers in Tolland County since we opened our doors forty years ago. 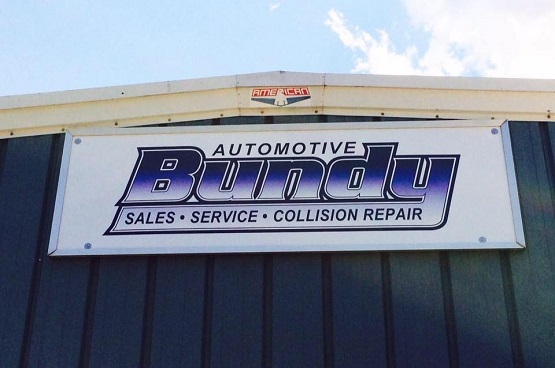 Collision repair service at Bundy Automotive is second to none. When your car, truck or SUV has been damaged in an accident, you want the job done right. We have the best technicians and the best quotes in Tolland County. Our experienced team in the Body Shop will assist you in all aspects of dealing with an accidental situation. We will spearhead the communication between you, and the insurance company to make the situation as simple and painless as possible. Call us right away and take a load off your mind with Bundy Motors. In the state of Connecticut, you have the right to choose which collision repair shop will work on your car. Our office will handle your repair from start to finish. Once you have selected our services, we will tow you to our site, work with your insurance company, and arrange use of a rental car for your convenience. When your repairs are complete, you car is covered by our Lifetime Guarantee as long as you own the vehicle! Give the friendly staff at Bundy Automotive a call today and make the best of your unfortunate situation. We work with our customers to find cost-effective repair and maintenance alternatives whenever necessary. Should you need a replacement car for any period of time, we will provide you with a loaner car while your car is in the shop. At Bundy Automotive, expect courteous discourse and timely solutions. Our ASE Certified technicians are professional and the best in the area. Stop in and get acquainted - we would like to meet you. Call today (860) 872-7800.